Hotly anticipated nutritional restaurant Unique Juices and Nutrition has opened in Liverpool with a menu of balanced, healthy foods served alongside a juice bar offering cold-pressed juices. Located at 379 Eaton Road, West Derby, Liverpool, it was inspired by the need for a nutritional and healthy restaurant in the city. 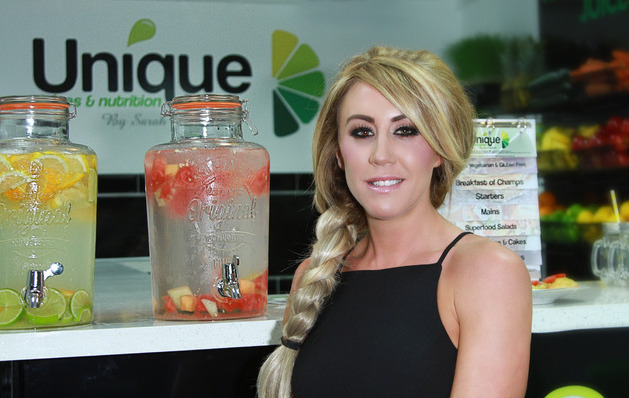 “I am thrilled to be opening my new restaurant in Liverpool, I look forward to sharing my nutritional expertise with my customers” says owner and restaurateur Sarah Griffiths, who has built upon the 15 years she has spent as a nutritionist, and her background as a bodybuilder and fitness model in order to create the Unique Juices and Nutrition concept. At Unique Juices and Nutrition, Sarah will also offer training to budding chefs and nutritionists. The menu consists of healthy options such as Vegan and Vegetarian food, balanced breakfasts, superfood salads, protein shakes and even healthy cakes whilst the juice bar offers fresh raw juices created by experienced nutritionists. Clients can add their name to the Unique Juices and Nutrition database so that food can be prepared in-house tailored to their specific nutritional requirements. The opening of Unique Juices and Nutrition is a natural progression of Sarah’s success as a nutritionist and her background as the owner of a gym. Unique Juices and Nutrition aims to exceed customer expectations, serving clean eating dishes created with locally sourced, seasonal produce. Menu development is led by Sarah’s experimentation with healthy dishes. The cuisine will adhere to healthy eating principles, so customers can enjoy nutritious food whilst dining out. Unique Juices and Nutrition will serve take-away food from an Express menu which will offer pre-prepared healthy food which customers can take home. “ The Express Menu is a condensed version of the restaurant menu; you can eat in or take out any of the items on the menu and juice menu too, which provides customers which a convenient solution if they are busy” says Sarah. Unique Juices and Nutrition will educate people about the benefits of healthy and clean eating, which is a growing trend in Liverpool and beyond with more and more people eager to discover the benefits of adopting a healthy diet. The satisfying dishes are healthy and affordable, and children will be welcome at the restaurant too. The expertise Sarah gained as a bodybuilder has also been key to the creation of Unique Juices and Nutrition. “If you are following a healthy eating plan and need to get food on the go, my restaurant will offer clean food which can even be weighed to meet your macros”. Unique Juices and Nutrition has a stylish interior design with a white, green and black colour scheme creating a cool aesthetic in the restaurant, with green to represent the vitality at the heart of the business. Highly trained staff will be on hand to look after the customers, so they can sit back and relax as their healthy food is weighed and prepared. All food served at the restaurant has a full calorie content, so it is easy to keep track. Food served at Unique Juices and Nutrition is steamed and grilled where possible to retain nutrients and flavours. The restaurant will be a place for people to enjoy healthy and delicious food and juices, without compromising their healthy eating plan.